In partnership with Fremont Chamber of Commerce, the event features preventive health screenings, massage, wellness and government resourcesFremont, Calif., (February 3rd, 2015) – Unitek College today announced their second community health fair in partnership with the Fremont Chamber of Commerce. The Annual Health Fair will be held Wednesday, February 18th from 11:00 am to 2:00 pm and is free and open to the public.Fremont Mayor Bill Harrison will initiate the event at 10:30 a.m. with a ground-breaking and ribbon-cutting ceremony for Unitek College’s new campus expansion. In honor of February’s American Heart Month, exhibitors will provide giveaways and material promoting wellness and awareness. Attendees will get an opportunity to engage with several vendors and agencies for diet & exercise information, blood pressure & fitness testing, oral cancer and vision screening, glucose testing and free massages. Special resources will also be available for veterans and seniors. The health fair will take place at Unitek College’s Fremont campus located at 4580 Auto Mall Parkway, Fremont, Calif. For more information on the event, call 888-775-1514 or visit Fremont Community Health and Wellness fair. Unitek College serves its local Northern California communities with a campus in Fremont, a campus in Sacramento and a campus in San Jose. 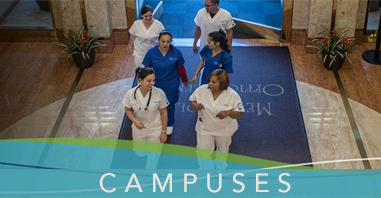 Unitek College offers programs in Medical Assisting, Pharmacy Technician, Vocational Nursing, Registered Nurse Bridge – LVN to RN, and a Bachelor’s of Science in Nursing – RN to BSN program. The Baccalaureate Degree in Nursing program at Unitek College is accredited by the Commission on Collegiate Nursing Education (CCNE) (http://www.aacn.nche.edu/ccne-accreditation). Unitek College is also accredited by the Accrediting Commission of Career Schools and Colleges (ACCSC) and is approved by the Bureau for Private Postsecondary Education (BPPE). 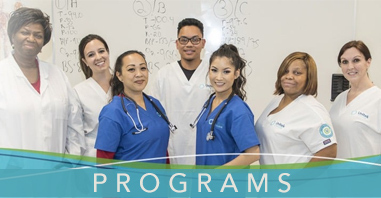 The Vocational Nursing program is approved by the California Board of Vocational Nursing and Psychiatric Technicians (BVNPT). Unitek College’s LVN to RN Transition ADN program is approved by the Board of Registered Nursing. To learn more about Unitek College, and the programs offered at each of its campuses, visit www.unitekcollege.edu or call 888-775-1514.